Last month, one of my goals was to spend only $20 for the whole month on things that were extras. Things like clothes, books, eating out, and snacks, were all considered extras. I was at $18 on April 15 and I managed to make it until April 20 before I failed. I crossed the $20 threshold with the purchase of a Mississippi Mud from Cabin Coffee. And you know what, it was totally worth it! My husband and I had been appliance shopping in the nearby big town and he offered to take me to Cabin Coffee because he knows it's my favorite. Mississippi Muds are these iced frappe drinks made with hazelnut and dark chocolate and sprinkled with espresso powder. They’re like a kiss from the coffee fairy and the absolute perfect ratio of chocolate, coffee, whipped cream, and ice. Then, I went to Hobby Lobby and got some greeting cards. And from there, it kind of spiraled. I went shopping with my friend Lori at the end of April and had to get Mother’s Days’ gifts for both the moms, I found a pair of jeans at Goodwill and a shirt that I thought would come in super handy. (I’ve worn the jeans once and the shirt not at all.) And then there was coffee to drink and meals to eat while we were out of town for the day. All in all, what did I learn from my spending slow down? What counted against my total relative term. You'd think a splurge would be obvious to spot. But my husband questioned purchases I thought of as routine that he thought were going against my totals. Like my once every six weeks massage. I really do feel great after having one, but is it a necessary thing? Probably not. And then there's grocery shopping. Are dried portabellas a necessity or a splurge? What about yummy juice smoothies bought with the groceries? So, I realized I'm spending more than $20 on things that I pick up with the groceries or that I really don't think about that much. I don't really need much. I spent the month not buying any new books, no internet purchases, no new fabric, hardly any clothes, and you know what? No one asked me why I wasn’t wearing anything new. No one asked if I was deprived. No one asked if something was wrong. Because no one noticed! In fact, after a while, I really didn’t even notice. It’s not like I was running out of stuff at home. I still had plenty of clothes to wear, plenty of books to read, plenty of fabric to sew. The only time I really even felt deprived was when someone would order food at work and ask if I wanted to order. But to be honest, I brown bag my lunch about 95% of the time, so it was more just a reminder that I couldn't order even if I wanted to. Spending money on experiences is more fun than spending it on things. I already knew this was true, but tracking my spending more closely made me fully realize this. Going out to eat with friends was much more enjoyable than buying another thing I really didn’t need that was just going to take up more room in my house. I have a knee jerk reaction to buy when I see a sale sign. For example, if I see a cute shirt on sale, I think I should buy it, when really, if I think about it, I don’t even need a shirt because I already have three others that are the same color or style and serve the same purpose this shirt would serve. I need to be more conscious about what I’m lugging home and whether it’s something I really need or even want, or am I just buying it because it’s a good deal. 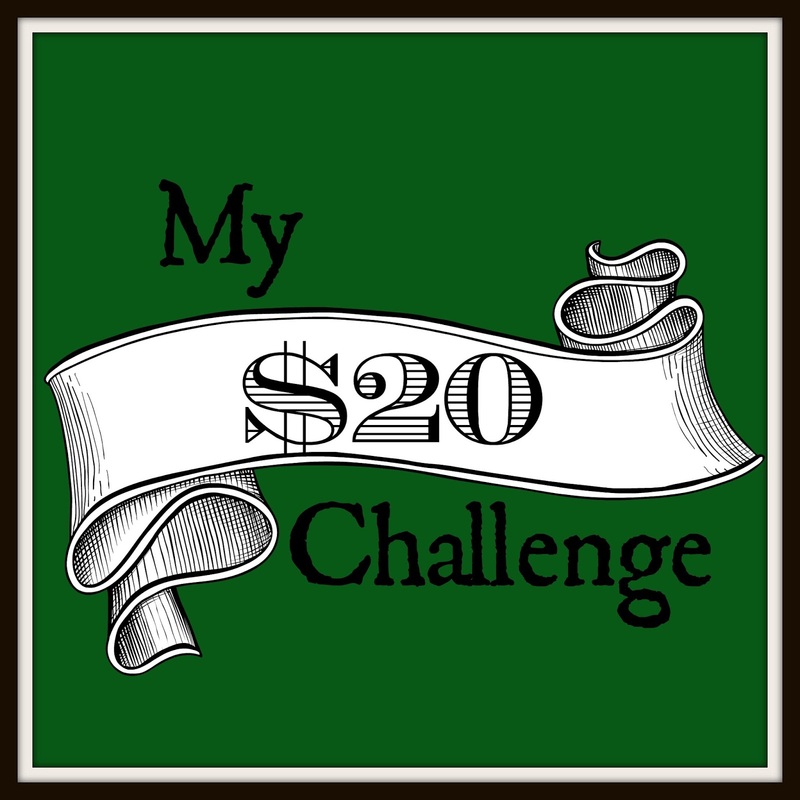 So, while I didn’t live up to my goal of $20, I was much more conscious of how much I spent and where my money was going. It also made me realize that I do occasionally spend money frivolously and I need to be more aware of what I'm spending on. I would definitely recommend tracking your expenses for a month or limiting yourself to a certain dollar amount to anyone who is trying to gauge their spending and how they use their money. 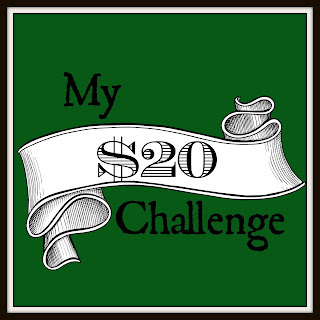 I think spending only $20 would be very much of a challenge! The most important part was you more conscious of how much you spent and where your money was going. To me that is a major win! It was a really good learning experience. I think I would like to try it again with a set amount for everything I'm responsible for, like groceries, gas for my car, etc.